Project Cars 2 Delivers The Fun Pack Today | Nerd Much? Latest update kicks off Season 4 for Project Cars eSports too. Project Cars 2, a great game in its own right, is poised to make things better. The game has rolled out its first DLC pack today. Known as The Fun Pack, the fresh content contains new tracks, cars and liveries for all the good boys and girls that avoided the naughty list. Our two new tracks are Barcelona Rallycross and Brands Hatch Rallycross Historic. You can get a glimpse of them briefly in the trailer above. 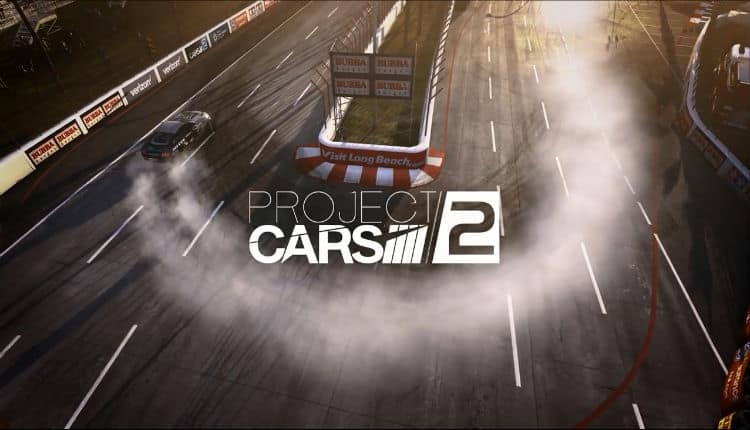 But you’ll notice from their names, as well as the cars that are coming along with it, that Project Cars 2 is trying to emphasize the drifting/rallying portions that their racer possesses. As far as new cars go, we’re being introduced to two from current WRX runners Mattias Ekström and Petter Solberg. The Audi S1 EKS RX quattro and the Citroën DS3 RX Supercar. We’re also getting three cars inspired by drifting world champion, Vaughn Gittin Jr. Those are his Ford Bronco “Bucky”, the Ford Mustang RTR Spec – 5D and the Mustang ’66 RTR. Finally, Slightly Mad Games has also included three Group B legends. The Ford RS200 Evolution, Renault R5 Maxi Turbo, and Audi Sport quattro S1. The developers have also been promoting a free demo available for their game which they hope gets their racer into more hands. Within it, you’ll have keys to the Ferrari 488 GT3, Lamborghini Huracán LP610-4, and Formula Renault 3.5. You can take a test drive of either of those three at the laser-scanned Red Bull Ring. Finally, Slightly Mad have incorporated some fresh liveries into the game. They promote the five major eSports racing teams of BAM eSport, Team Redline, Virtual Drivers by TX3, JapSpeed Racing, and F4H Motorsport. The release is a tie-in, as today marks the official start of Season 4 for Project Cars eSports. Project Cars 2 has seen graphical enhancements since its initial September launch. If you’re playing the game on the Xbox One X or PlayStation 4 Pro, you’ll notice much more impressive visuals than when the game first released. And with the demo being free for all, there’s no better time to give the racer a whirl for yourself.